I have mixed feelings about today - on one hand, I'm super-happy about Halloween finally arriving, at the same time I wish it took longer for it to arrive because today marks the end of Spooky October. This October Ruzi and I tried to share with you as many spooky books as possible, while still posting lighter novels for those who don't like horror all that much. In this post, I'll give you a recap of all our Spooky October posts and you can also gain tons of entries in our ongoing giveaway, that will end on the 8th of November. How can you gain more entries? First off, continue reading this post and check out the posts that interest you - you only have to click on the pictures, they'll take you straight to the reviews. Start up the commenting, but keep in mind which posts you've commented on! Come back to this post, go to the end of it and find the Rafflecopter. Now, you only have to open the windows of the reviews/special posts you've commented on and give us the name you used for commenting. You can gain two entries for each comment, even if you left them weeks ago. Easy, right? Now, onto the recap. "Hollow bones. They make a blood-curdling crunch when you step on them. Drops the soul right out of you, unless you like that sort of thing." Stefan Bachmann, Leigh Bardugo, Kendare Blake, A. G. Howard, Jay Kristoff, Marie Lu, Jonathan Maberry, Danielle Paige, Carrie Ryan, Megan Shepherd, Nova Ren Suma, McCormick Templeman, April Genevieve Tucholke and Cat Winters. A killer is obsessed with Eva Tilling. 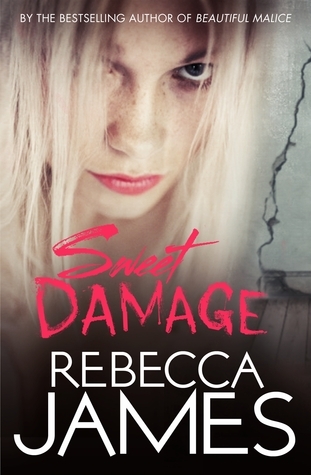 Can she stop him, or will he claim her? "Being with you always feels like flying," Maggie whispered. "And being with you brings me back to Earth." Orphaned from the age of ten, 17-year-old Maggie finally finds a permanent home with her elderly aunt in a small Texas town. 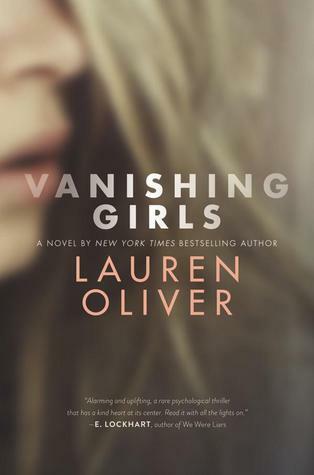 Working part-time at the local high school, she becomes enmeshed in a fifty-year-old unsolved mystery where nothing is as it seems. Who is the boy no one else can see? And what do you do when you fall in love with a ghost? This volatile and mismatched romance is doomed from its start, as Maggie struggles to hold on to yet another life destined to be taken from her. Secret love and hushed affections are constantly threatened by outside forces resulting in a terrifying race to stay alive. Top Ten Tuesday is a weekly meme hosted by the Broke and the Bookish and today's topic is a Halloween freebie! As you know, I like my books with gorgeous covers so not all of them can be called creepy but they definitely look intriguing. Keep in mind that I put them in order of how much I like them, NOT how creepy I find them. Haunted houses, demonic possessions or reincarnations. Whatever horror books may be about, if they are based on real stories- however far-fetched they may seem, parts of them are still true. Therefore they are easier to believe and easier to get frightened. 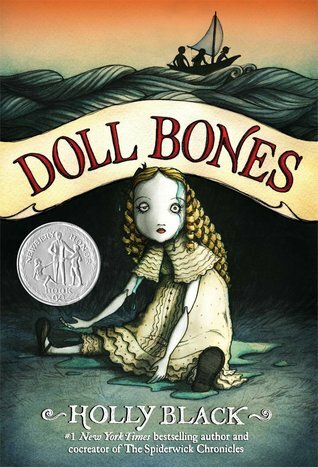 With Halloween just a few days away, here's a list of horror novels based on TRUE events! Hi sweeties. TTT is a weekly meme hosted by The Broke and the Bookish, and today's topic is: 10 Wishes I'd Ask The Book Genie To Grant Me. This basically means that you can ask for anything book related... and then cry because no one's gonna grant your wishes *sobs*. Despite this I LOVE this week's theme and can't wait to share with you the ten things I would wish for. Book Genie, pay close attention because here come my ten wishes. This Spooky October- Celebrating the "Stephen King of children's literature"
He crafted my nightmares in my childhood. and warily looking around me as shadows grew into faceless monsters. Jade's little brother claims to see a glimmering girl in his room. Jade's jewelry gets moved around, as if by an invisible hand. Kids at school whisper behind her back like they know something she doesn't. Soon, Jade must face an impossible fact: that her perfect house... is haunted. Haunted by a ghost who's seeking not just vengeance, but the truth. 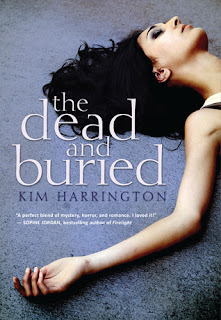 The ghost of a girl who ruled Jade's school - until her untimely death last year. It's up to Jade to put the pieces together before her own life is at stake. As Jade investigates the mystery, she discovers that her new friends in town have more than a few deep, dark secrets. But is one of them a murderer? Hello everyone! 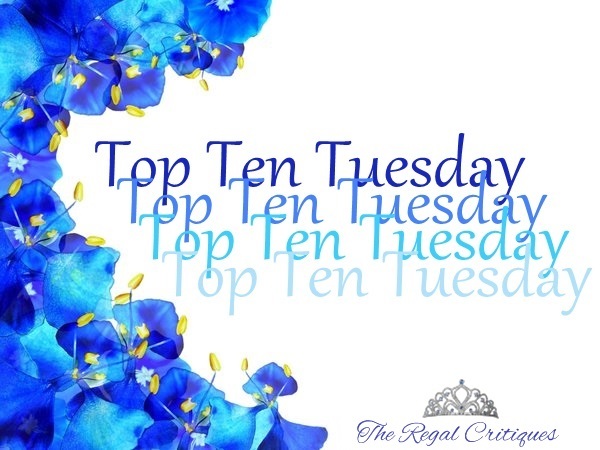 Top Ten Tuesday is a weekly meme hosted by The Broke and the Bookish and today's topic is the Top Ten Authors Duos I'd Love To See Write A Book Together. I really enjoy reading all these authors' works as individuals, but I think in the following pairings they could create something unforgettable. Greenwich Village, 1959. 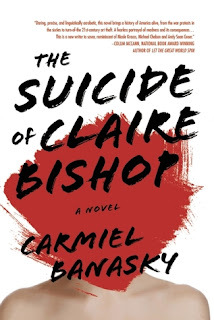 Claire Bishop sits for a portrait—a gift from her husband—only to discover that what the artist has actually depicted is Claire’s suicide. 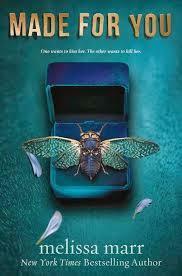 Haunted by the painting, Claire is forced to redefine herself within a failing marriage and a family history of madness. Shifting ahead to 2004, we meet West, a young man with schizophrenia obsessed with a painting he encounters in a gallery: a mysterious image of a woman’s suicide. Convinced it was painted by his ex-girlfriend, West constructs an elaborate delusion involving time-travel, Hasidism, art-theft, and the terrifying power of representation. When the two characters finally meet, in the present, delusions are shattered and lives are forever changed. Hello, my lovelies! In our first ever Special Post for Spooky October I thought of taking you to a selection of haunted libraries all over the world! *evil cackles* Libraries, we love. Haunted libraries, not so much, I discovered. Some of these are DEFINITELY nightmare-inducing. Check them out and tell us which one you thought was the spookiest of the lot! New England, the 1890s. A man calling himself Doctor John Shepherd arrives at an isolated women’s mental hospital to begin work as assistant to the owner Dr Morgan. As Shepherd struggles to conceal his own dark secrets, he finds the asylum has plenty of its own. Who is the woman who wanders the corridors by night with murderous intent? Why does the chief nurse hate him? And why is he not allowed to visit the hospital’s top floor? Shocked by Morgan’s harsh treatment of the patients, and intrigued by one of them, Jane Dove, a strange amnesiac girl who is fascinated by books but cannot read, Shepherd embarks upon an experiment to help her. As he attempts to solve the mystery of Jane’s past his own troubled history begins to catch up with him and she becomes his only hope of escape, as he is hers. 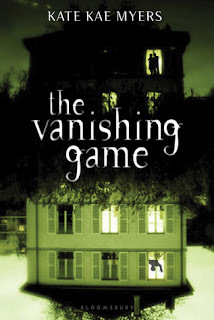 In this chilling literary thriller everyone has something to hide and no one is what he or she seems. 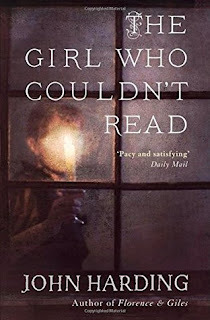 The Girl Who Couldn't Read is the long-awaited sequel to the critically acclaimed international bestseller Florence and Giles but can also be read as a gripping standalone novel. It's that creepy time of the year! 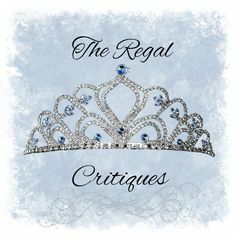 Hello all you lovely readers of the Regal Critiques! Today we are extremely excited about spilling the beans to you guys about something we've been planning for quite some time. Bring your hands together for... Spooky October! So, basically we have lined up all sorts of interesting seasonal themed posts for this month, what with Halloween being around the corner and all. Check out what we have in store for you! 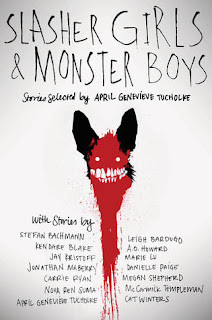 Reviews- many of them- ranging from spine-tingling mysteries to downright horror stories that would scare the bejeezus out of you. Expect our reviews on Thursdays and Saturdays! Vera would be here with the regular Top Ten Tuesday posts, of course. With a creeptastic theme, we have an interesting selection of Special Posts in the making that would be sure to get you into the spirit of all things scary! Be sure to check them out each Monday. 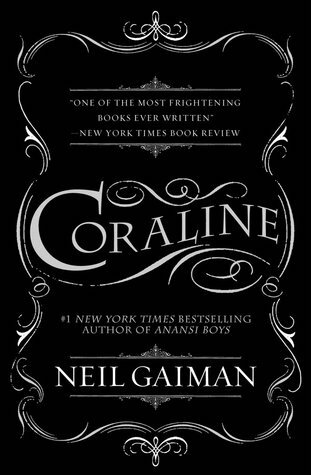 We'll be talking about any book that made us both shudder and would guarantee you a good read in our Discussion Reviews. Aaand we're hosting a reader-only Giveaway* to thank YOU, our lovely readers, for bearing with us all along! Without further ado, LET SPOOKY OCTOBER BEGIN!! *Please note that this giveaway is open to all our readers internationally, if, and only if, the Book Depository ships to your country. We will not be held responsible for lost or damaged packages. Hello lovelies. 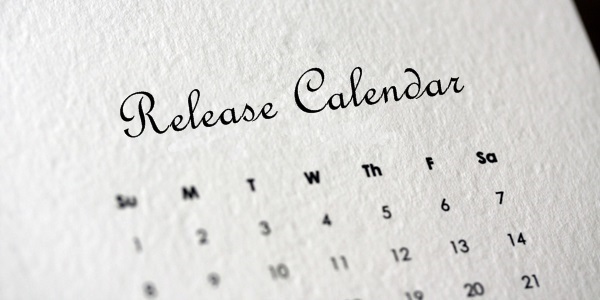 As usual, we're here to share with you our most awaited releases for October, as well as the releases that we think you're excited for.